1. State standard samples of toxins, organic substances, pesticides. 2. State standard samples of ions of metals, inorganic cations and anions. 3. Equipment and consumables materials for, gas and liquid TLC. 4. Analytical inorganic and organic reagents corresponding to the scientific and technical documentation on quality, which operate in Ukraine. 6. 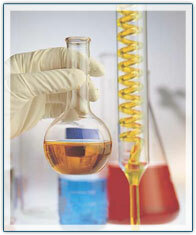 Standard titers of acids, salts and meadows for analytical titration of products and other manufacturers. 7. Solutions for pH meter, buffer solutions and solutions of inorganic and organic reagents, as well as reagents with a given parameter upon to order. 8. 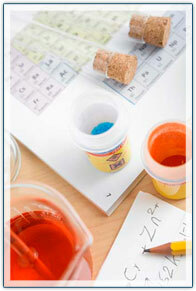 Glass and porcelain tableware for laboratories. 10. Overalls, gloves and facilities of individual defence. If you are interested in quality - call us!!! Expect Your orders and suggestions.